In Connecticut, teachers of color comprise only 8 percent of the educator workforce, while over 40 percent of students today are children of color. Our student population continues to become more diverse, yet our state and school districts struggle to reflect that diversity among teachers. The long-term benefits of being taught by high-quality teachers of color are clear. When students of color are taught by teachers of the same race, they feel more comfortable, show more interest and effort in their schoolwork, and have higher college aspirations. 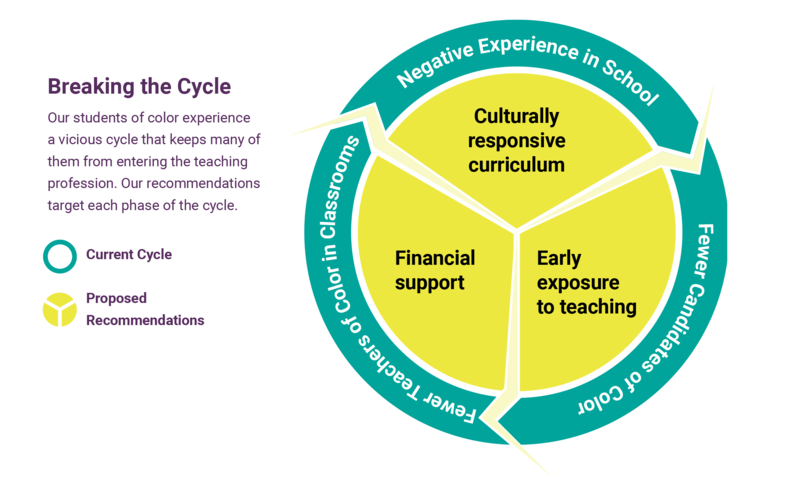 Sadly, our students of color are experiencing a vicious cycle — too many in Connecticut classrooms receive an education that fails to expose them to teachers of color who can serve as positive role models. Subsequently, we end up with few students of color who see education as a viable career path and not nearly enough teachers of color recruited to join the next generation of educators. We can take both immediate and long-term steps to engage today’s students of color and set them on the path to become tomorrow’s teachers of color. Share this policy paper with your colleagues and friends on social media! Ensure culturally relevant standards-based teaching is integrated in curriculum and professional development throughout the district. Unions, informed by student and teacher feedback, should negotiate for culturally responsive professional development in district contracts. Districts should create a position for a culturally responsive pedagogy coach to research quality and multicultural curriculum and to work with and train teachers to implement curriculum throughout the district. Districts should form teacher teams focused on implementing culturally relevant teaching. These teams should routinely meet with their colleagues and community members, such as parents and advocates, to gather feedback, suggestions, and concerns through surveys, focus groups, or other means. Pilot teaching assistant programs for high school students of color to broaden the base of teacher of color candidates. 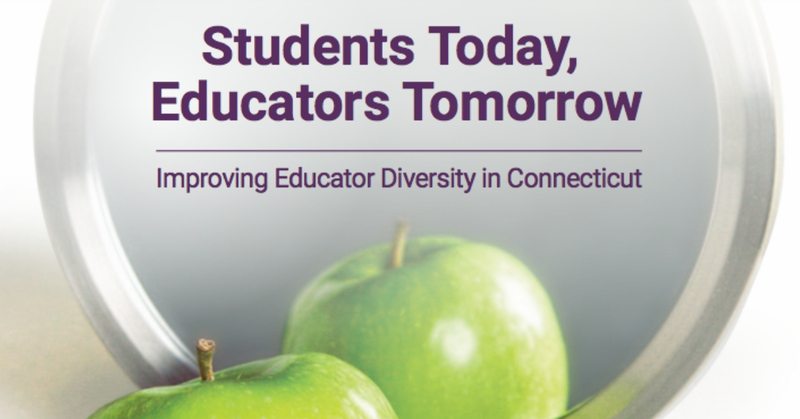 The state of Connecticut should create programs that provide students of color an opportunity to work directly with teachers whom they respect and can learn from as mentors. Create incentives and supports to retain teachers of color in schools and the community. The state of Connecticut should offer financial support to programs that demonstrate success in recruiting educators of color to teach in high-need schools or in shortage areas that occur when there are not enough teachers to teach a given subject. We are a diverse team of nine teachers who met over the course of six weeks in the spring of 2018 to craft recommendations for how Connecticut and Bridgeport Public Schools can improve teacher diversity, better support students of color, and encourage them to pursue teaching as a career. We surveyed more than 60 E4E-Connecticut member and nonmember teachers and spoke with external stakeholders to gather critical information about current policies and practices. Additionally, we conducted extensive research to inform our recommendations for the district and the state.